Home Blog How To Book Doctor’s Appointment Online? The internet has made almost everything so accessible that people can now choose to get minor chores or even the most difficult tasks done by conveniently approaching service providers online. The internet is flooded with a large variety of options to simplify your daily routine right from clothes or grocery shopping to beauty services and to even booking doctor appointments in your vicinity. Things such as booking an appointment online, online transactions and online availability of your laboratory reports have also not only reduced paper-work to a great extent, but it has also made the task of record keeping much easier for health care providers. Since so much has been provided to us right on our fingertips, booking a doctor’s appointment online is as easy as it may sound. This article will let you understand how you can book a doctor’s appointment online. You can book a doctor’s appointment online with the help of the following simple steps. To book an appointment, you will be required to correctly fill up patient details such as name, age, gender, and contact details. Choose your convenient time slot and book your appointment. You will receive confirmation by email or sms. How to Ask A Doctor Online for a Second Opinion? To begin with, if you are unsure of which doctor to ask for a second opinion – you can go to bestdoctor.com where you can submit your medical case online. In BestDoctor, you have an option to search for doctors in a particular specialty. You can pick a doctor in the required specialty to ask a doctor and get second opinions from the renowned doctors worldwide. You can get cleared with all your doubts from top physicians, and even you can get free follow-ups. All the doctors are well trained from top most medical institutes and worked at reputed hospitals. Online Second opinions are only a click away. All you should have to do is just submit your health question with gender, age, current medication, and symptoms. 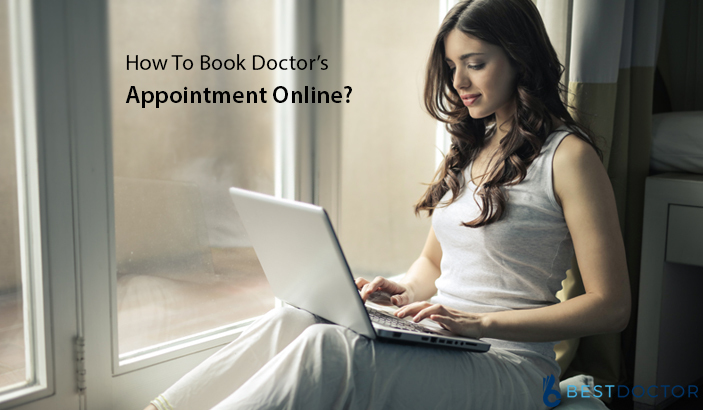 Booking a doctor’s appointment online becomes convenient both for the doctor as well as patients as it saves time and the effort of visiting the doctor twice, once to book an appointment and second, to actually be present on the appointment date and time. By using Ask a Doctor Online you can get the expert medical advice from the world’s renowned best doctors. It is a 24/7 online health service provider and is cost effective. Although you can share images of disease lesions and laboratory test reports online through messages or email, it is a better option to book an appointment online and visit the doctor personally to get all your doubts cleared by just meeting directly. Previous PostCough In Children – When To See A Doctor? Next PostWhen To Call A Doctor For Fever in Baby? Nice information’s. Thanks for sharing useful info.